Ya está diponible en la revista "Papers de Turisme" la Conferencia CIT2013: Innovación en Turismo y Hostelería organizada por Florida Universitaria, la red SPACE y la Fundación Ulysses el pasado mes de Abril. El Comité Científico del CIT2013 alcanzó un acuerdo con la revista académica Papers de Turisme para publicar un monográfico específico de la Conferencia, en el que recoger las comunicaciones académicas seleccionadas por los evaluadores del Comité Científico, artículos de ponentes con las aportaciones realizadas durante la Conferencia, Conclusiones y la Declaración de Valencia, así como comunicaciones que expresaran la visión sobre la innovación en el sector turístico de las instituciones que respaldaron este evento. 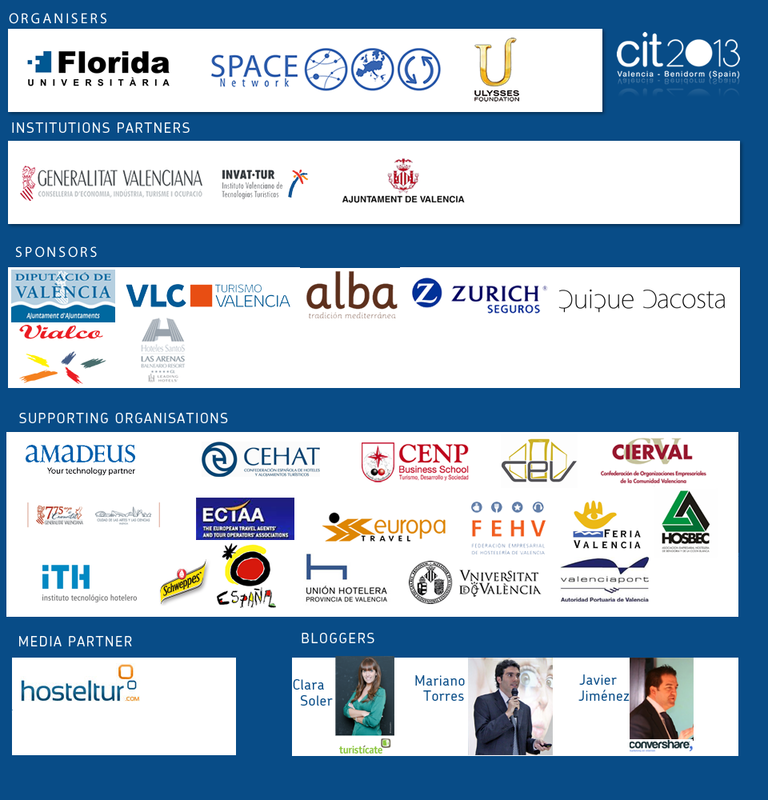 I would like to congratulate Florida Universitaria on their courage in organizing such a forum as CIT2013 in these difficult times, when we tend to focus exclusively on a daily basis ignoring that innovation is key in the tourist sector. Initiatives like this help us remember it and become richer. The President of FEHV (the Valencian Federation of Hospitality and Leisure) and CONHOSTUR brings his support to CIT2013. A meeting has been held this morning in which this leading representative of the Valencian tourist sector has provided his contributions in order to make this international Conference a must to all those professionals and experts who rely on innovation as a strategy for competitiveness and future perspectives. Ms Barbara Jamison, member of London & Partners, has confirmed she will participate in CIT2013 in the “Accommodation, leisure & events management” panel that will take place on 18 April in Benidorm. London & Partners is a not-for-profit, public private partnership, funded by the Mayor of London and a network of commercial partners. London & Partners was created in order to bring together the remits of the capital's promotional agencies: Think London, Study London and Visit London. Ms Jamison has over 25 years business experience. 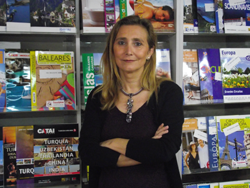 Her career includes working in the export business, wine industry and all aspects of tourism. Her career in tourism has provided Barbara with a 360 degree expertise in the following fields: educational travel, consumer travel, travel trade, corporate travel, business events and incentives, non for profit association and congresses, as well as major events as the London 2012 Olympic and Paralympic Games, and the promotion of 1st and 2nd tier destinations. Quique Dacosta, the renowned Spanish chef and owner of the three-star Michelin Guide awards restaurant “Quique Dacosta”, is already confirmed as one of the experts to participate in the Culinary Experience panel that will take place in Benidorm on the 18th April. Quique Dacosta is recognized all around the world for his artistic culinary expression. He uses the culture, characteristics and lifestyle of his territory as a flagship for quality, excellence, innovation and tradition that contributes to the projection of the Valencia region from a tourist, cultural and artistic point view. 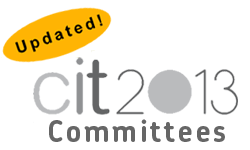 We are pleased to inform you that the early bird fee register for CIT2013 has been extended until March 15.